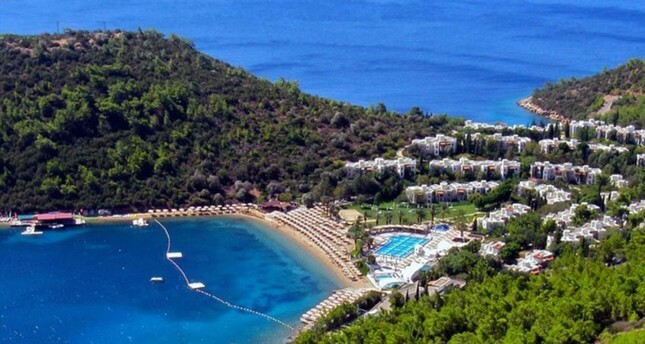 Bodrum, Turkey's most popular holiday destination dubbed the Turkish Riviera, also happens to be one of the ultimate destinations for expats residing in Turkey. As a result, there are a number of creative, beneficial and entertaining ways to meet and mingle with the expat crowd. With something for everyone, why not check out some of these great ways to meet fellow foreigners, whether it be through learning, dining, exercising or even lending a helping hand. Founded in 2011, the Herodotus 3rd Age Academy or Hero 3A for short is an ace cooperative for shared-learning activities and excursions. In addition to holding regular hikes, book clubs and exhibitions, they also organize art and photography events, exhibitions, and historical talks, and during the summer, regular boat trips. Led by volunteers of an international persuasion, this group is a well-established way to get to meet new people while learning as you do so. This Tuesday, they will be holding a seminar on the historical development of Turkish baths, which will take place at the Oasis Shopping Center. Check out: www.hero3a.com to find out more about their upcoming activities. Based in Yahşi, Bodrum Humanity, in Turkish Bodrum'da İnsanca Yaşam Derneği, is a charity organization that was started in 2015 by a group of Bodrum residents to aid those in need. Dozens of expats would volunteer by delivering breakfast, clothes and personal hygiene items to refugees. Since then, the foundation has been holding regular meetings and workshops, such as on emergency response and post trauma for volunteers and art therapy, yoga and gymnastics for kids as well as sewing, brand management and Turkish classes, along with yoga for women and disadvantaged adults. Bodrum Humanity also holds entertaining fundraisers, swap meets and informative events such as film screenings, making it a well-rounded opportunity to volunteer to help others while meeting new people also trying to make the world a better place. Yalıkavak Street Animals is a volunteer Facebook Group that was established to raise awareness on the plight of Bodrum's local street animals and to take positive action to help them have a good quality of life. There are a number of ways in which to contribute to this organization, such as assisting in distributing food, donating second hand goods or assisting as a seller for the organization's second-hand stand at local flea markets. You can also help by attending and supporting their fundraisers. The Turgutreis Animal Shelter (Turgutreis Can Dostları) is another volunteer Facebook group, which aims to raise awareness and assist in the adoption of the animals housed at the Turgutreis Animal Shelter. If you're missing a taste from home or are an expat that loves to cook, every Saturday in the off-season there is a quaint market in which you can find treats such as pastries, cakes and preserves that are prepared by expats and Bodrum residents in the traditional styles of their homeland. Ping pong just happens to be a fun new phenomenon in the Bodrum peninsula as locals, Istanbulites and expats battle it out over table tennis in three different leagues, with hundreds of members. There is an expat-heavy league that is more leisurely, in which games take place in local cafes, versus the more serious variations. This includes the Bodrum Veteran Table Tennis Club, which has regular players and competes in official national and international tournaments as well as offers training. You can find out more about the leagues on social media by checking out the Bodrum Masa Tenisi Leagues. The global expat professional networking community Inter Nations has four active branches in Turkey, namely in Istanbul, Ankara, Izmir and Bodrum, all which host regular events and special interest activities for members. In Bodrum, this is an excellent way to meet with fellow professional expats and to discover new venues around town at one of their regular events. Once a month, dozens of members of Bodrum's expat community come out to put on their thinking caps and test their knowledge for what is "a fun-filled night of not-so-serious trivia." These monthly quiz nights are held on Thursdays at Churchill, a popular spot for burgers and international fare right on the beach in the heart of Bodrum center. Bet you didn't know, Bodrum's local chapter of the Slow Food organization, which aims to prevent the disappearance of local food cultures and traditions, and was originally founded by an expat. Now, Slow Food Yaveş Garı Bodrum has gone on to hold a variety of tantalizing events such as their Mandalina and Slow Cheese festivities. In the winter months, the bowling alley located under the Oasis Shopping Center is put to good use by a crowd of international expats that reside in the Yalıkavak neighborhood of Bodrum. Teams in the dozens compete for various titles, which are awarded with an entertaining ceremony and even trophies.